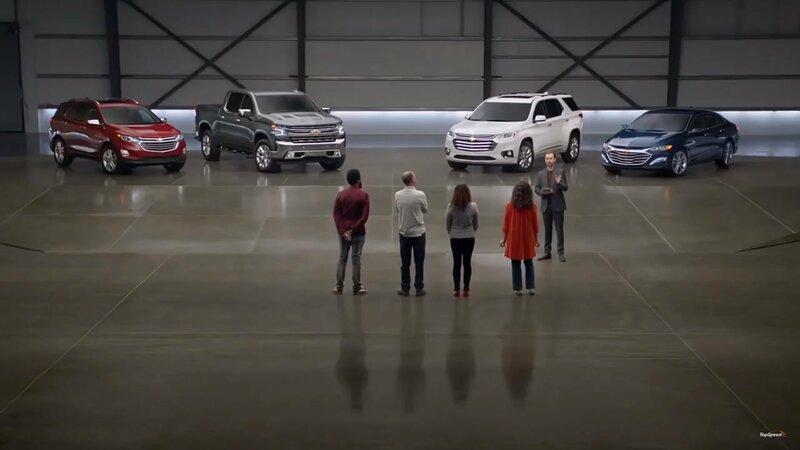 GM launched a new Chevrolet commercial last week, and the video claims that the brand is more reliable than Ford, Honda, and Toyota. 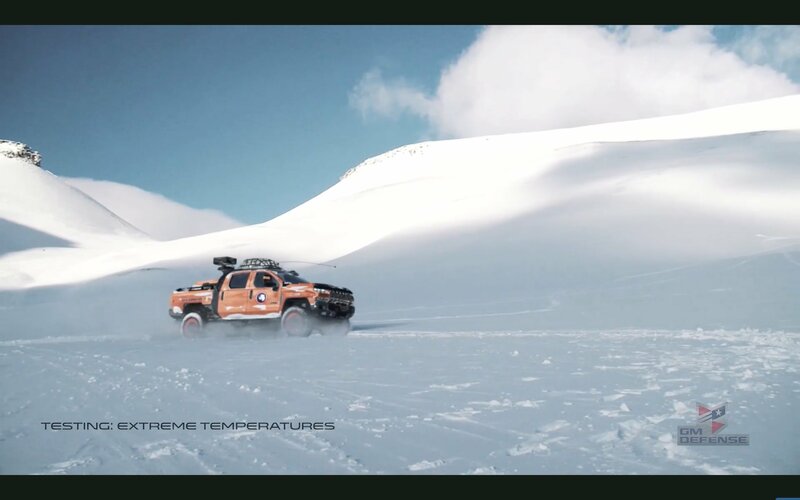 The ad has stopped airing after only a few days due to complaints from the competition, which challenged Chevy’s claims. And, rightfully so. 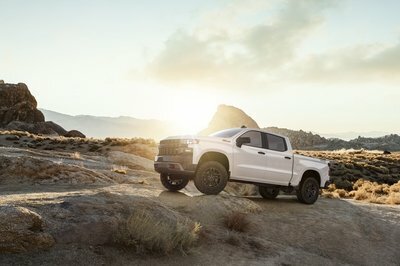 Chevy has since removed the advertisement from the internet and television but claims that it was to focus on the new Silverado and not as a response to the video in question. The official debut of the new 2020 Chevy Silverado HD is expected in February 2019 – probably at the Chicago Auto Show. Chevy, however, grew some balls and actually revealed first photos of the 2020 Silverado HD. Bask in the greatness of the new 2020 Silverado HD. Or don’t! The design turned out to be one of the most astoundingly courageous styling experiments in the industry. The front end looks so much “out there” that, from the looks of things, it seems that Chevy has done too much. 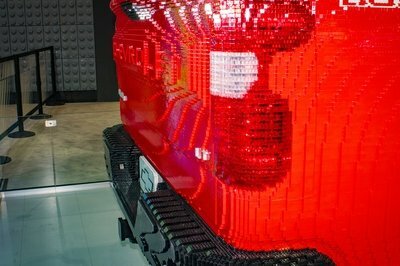 GM designers are probably reliving the nightmare that they had with the introduction of the latest Camaro. Remember, that one received an “overnight” update after some massive hate from the whole freaking world. The new Silverado HD, however, had to be as mad as it is. “We set out to make a statement with the 2020 Silverado HD and wanted to visually capture the power and capability of the truck,” Brian Izard, the pickup’s lead exterior designer, said. Well, it certainly looks like a piece of machinery, but that is only one of its traits (to some alluring, to many incomprehensive). 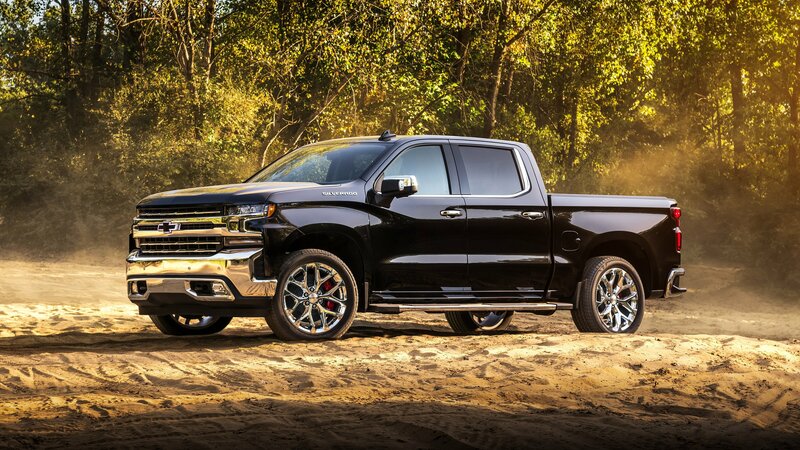 While information on the new 2020 Chevrolet Silverado is still largely hidden, I managed to find some cool facts that will make the new 2020 Silverado HD closer to you. Chevrolet had its hands on the 2018 Los Angeles Auto Show launching the all-new Blazer. It was, by all accounts, a successful debut for the crossover. 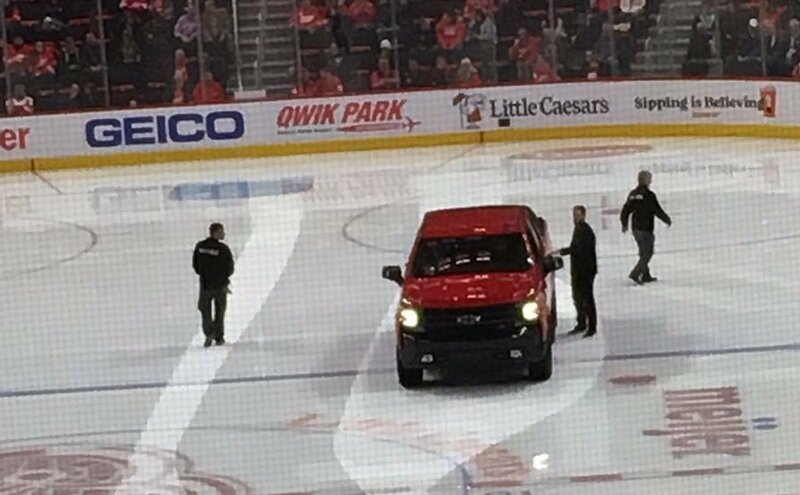 Unfortunately, one of Chevy’s most popular models – the Silverado pickup truck — didn’t have as good of a time 2,300 miles away in Detroit when it inexplicably went limp while in the middle of a low-key marketing stunt at the Little Caesars Arena during an NHL game between the St. Louis Blues and the hometown Detroit Red Wings. The Chevrolet Silverado ZH2 is a military, heavy-duty version of the popular Silverado pickup truck. Developed by General Motors’ new military defense unit, it’s powered by a next-generation Hydrogen fuel cell and advanced battery systems. Remember the Chevrolet Colorado ZH2 from 2016? GM Defense just revived the project, but it’s now using the bigger Silverado truck and newer technology. Okay, so it’s just a concept for now, but it could become a full-time military vehicle in the future. More importantly, the tech under the shell could find its way into the fuel-cell production car that GM promised to deliver by 2022. Until that happens, let’s see what this truck is all about. 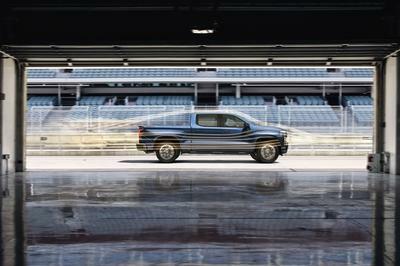 The fourth-generation Chevrolet Silverado broke cover in late 2017 with a brand-new design on the outside, all-new tech on the inside, and a range of drivetrain upgrades. Come 2018 and Chevrolet offers optional, dealer-available upgrades through its Performance and Accessories division. The Silverado LTZ Concept was created specifically to showcase some of these items before they go on sale. Unveiled at the State Fair of Texas, the same city where the new-generation truck was introduced, the LTZ Concept is based on the LTZ Z71 trim and features three upgrades from Chevrolet Performance and eight items from the Chevrolet Accessories catalog. It’s not a concept in the true sense, as it doesn’t showcase futuristic designs or technologies, but it’s a good preview for the many ways you can customize a Silverado nowadays. The LTZ Concept will go on display at the 2018 SEMA Auto Show in Las Vegas too. 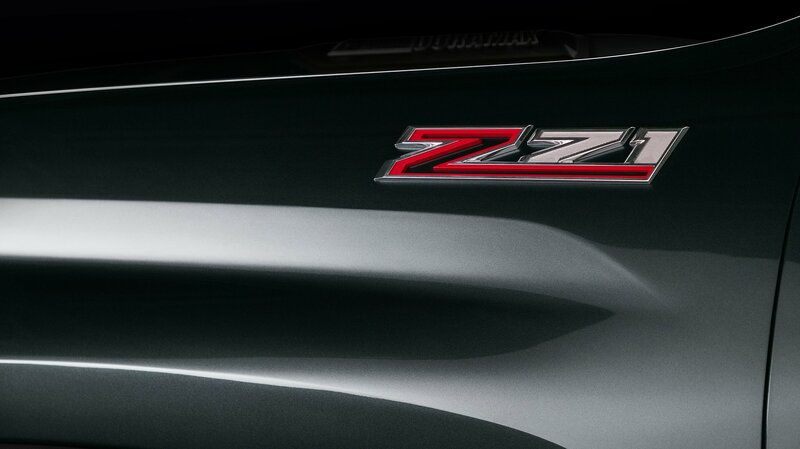 Continue reading to learn more about the Chevrolet Silverado LTZ Concept. Proving that auto shows have become less appealing these days, the 2018 Texas State Fair has become Chevrolet’s venue-of-choice in revealing the Silverado RST Off-Road Concept. The unique trail-inspired Silverado is one of four concepts that Chevrolet unveiled in the event. The RST Off-Road Concept is arguably the most rugged version of the Silverado among the four concepts it’s bringing to the Texas State Fair. It’s packed with off-road equipment and accessories to showcase the pickup’s might and adaptability when it ventures into beaten paths. 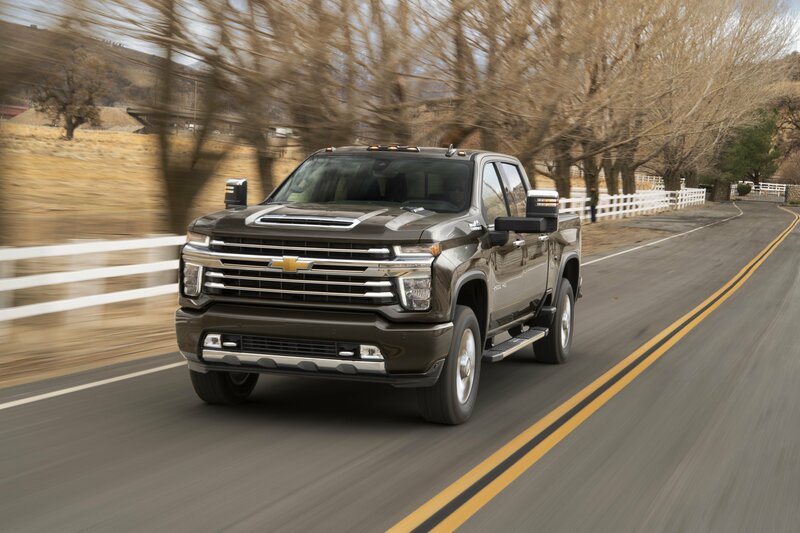 The fourth-generation Chevy Silverado broke cover in 2017 with a ton of new features, including state-of-the-art technology, and upgraded engines. But it’s also a highly customizable truck now, with plenty of features available from Chevrolet Performance and Accessories. Chevy just launched a handful of concept vehicles to showcase these features and the RST Street proves that trucks can look like hot rods too. Based on one of the Silverado’s less expensive trims, the RST Street looks a bit more aggressive than the standard truck and it also rides lower than usual. 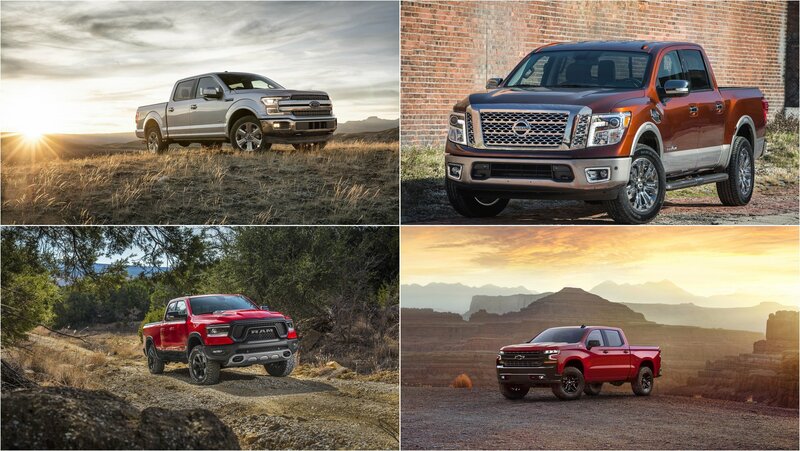 Yes, while concept trucks usually ride higher for enhanced off-road capability, the RST Street was conceived for drivers who want a sportier truck. It also previews a new set of fender decals and carbon-fiber-look parts, so it won’t be long until you will be able to customize one just like the concept in the photos. 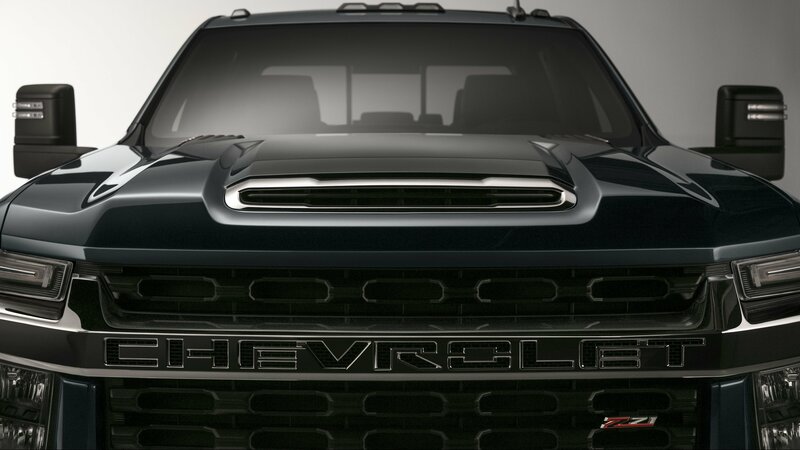 Continue reading to learn more about the Chevrolet Silverado RST Street Concept. Details are still unclear on how the girl’s head ended up inside the exhaust of a first-generation Chevrolet Silverado or why the girl was even in the vicinity of the truck, to begin with. According to reports, the young lady was reportedly intoxicated when the incident occurred, putting a lot of questions about the whole thing into perspective. Fortunately for her, the Winsted Fire Department was called in to help extract her head out of the exhaust pipe. A power saw was reportedly used in cutting the tailpipe, which led to the girl getting her head out of the exhaust pipe. 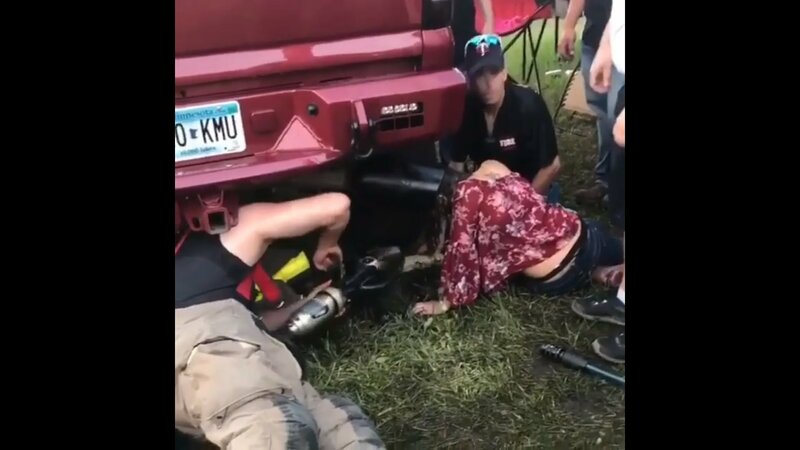 The McLeod County Sherriff’s Department also confirmed that the young lady was cited for underage drinking and was escorted out of the concert grounds once her head was removed from the exhaust pipe. To make this story even more unbelievable than it already is, the fire chief spoke to local media outlets and said that he had heard that it was the second time the young woman put her head in the tailpipe during the event. Apparently, she was able to get out the first time, which probably led to her thinking that she could do it again. Make good choices, young lady. Make good choices. 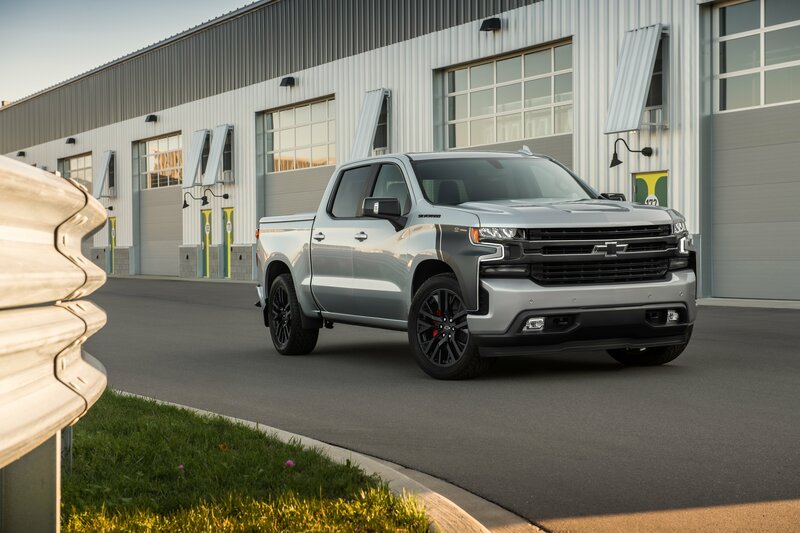 Just days before the 2019 Silverado’s debut, Chevrolet decided to reveal one key piece of information – the introduction of a four-cylinder engine to its line-up! That’s right, the heavyweight beast is all set to get an engine comparable to a hatch; but wait, puny, you say? This four-cylinder engine is more potent than the V-6 engine! Continue reading to know more. Chevy is Offering the Most Diverse Silverado Lineup Ever for 2019, Including a 310-Horsepower Four-Cylinder Engine! 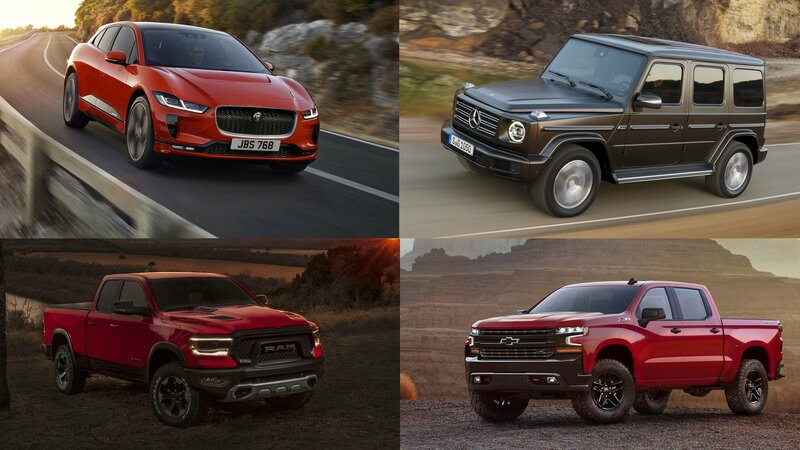 The automotive market has changed so much over the last 15 years, and its constant evolution is taking us to places we never expected and showing us things we never thought we’d see. After Ford and Chevy integrated modern four-cylinder engines into the Mustang and Camaro, it was only a matter of time before the led to even stranger things, and in this case, that’s a four-cylinder Silverado. 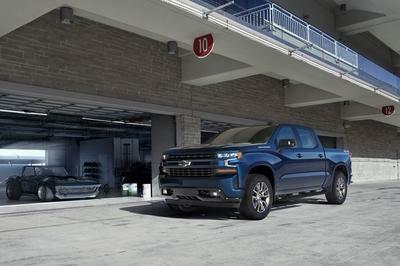 Chevy has announced that the 2019 Chevy Silverado will be offered with a 2.7-liter, turbocharged, four-cylinder. In fact, it’s not only offering it but listing it as standard equipment on the entry-level LT and the RST. Both come exclusively with an eight-speed automatic transmission. 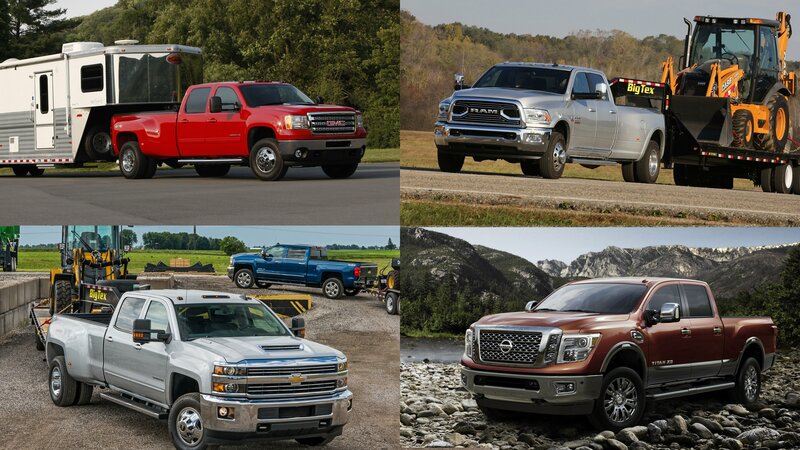 The Chevy Silverado has been a hot topic lately. 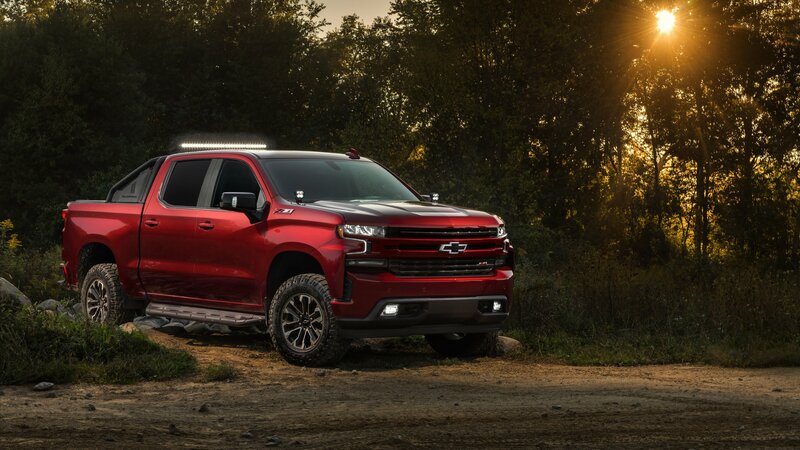 The 2019 Silverado 1500 was unveiled in January at the Detroit Auto Show. Now, it’s the 2020 Silverado HD’s turn in the spotlight. It’s not scheduled to make its debut until the fall of this year, but Chevrolet is getting a head-start on the teasing game with the first official image of the heavy-duty pickup. 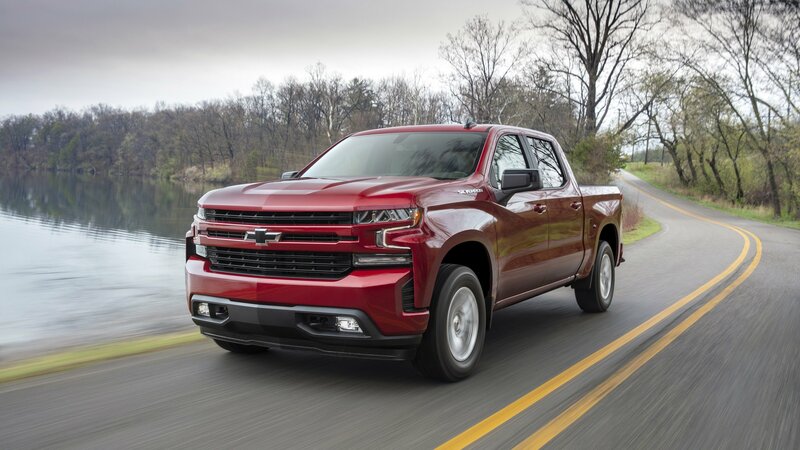 The Chevrolet Silverado never actually left us, but the debut of the all-new 2019 model feels like a second coming for the Bowtie’s massively popular half-ton pickup. It has a dramatic new look, a lighter packaging, and a staggering number — eight in total — of trim options that’ll make your heads spin in excitement. 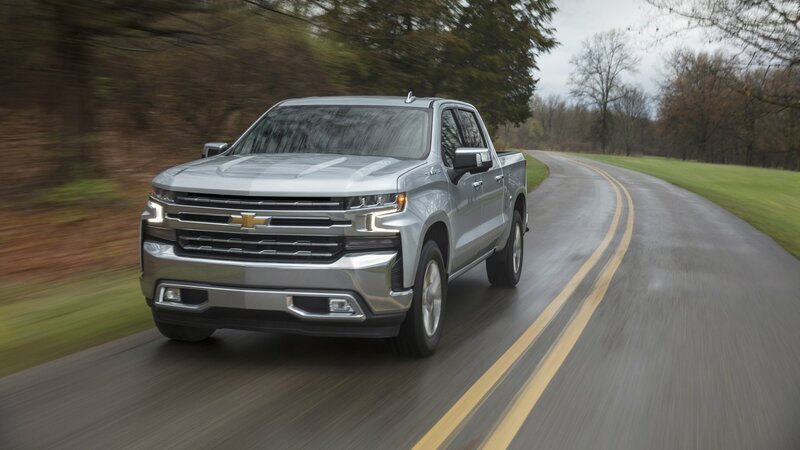 Best of all, though, is the fact that Chevy is also diversifying the Silverado’s engine lineup, including an all-new Duramax 3.0-liter inline-six turbo-diesel engine that will compliment revised versions of Chevy’s 5.3-liter and 6.2-liter V-8 engines. The rumors were true. 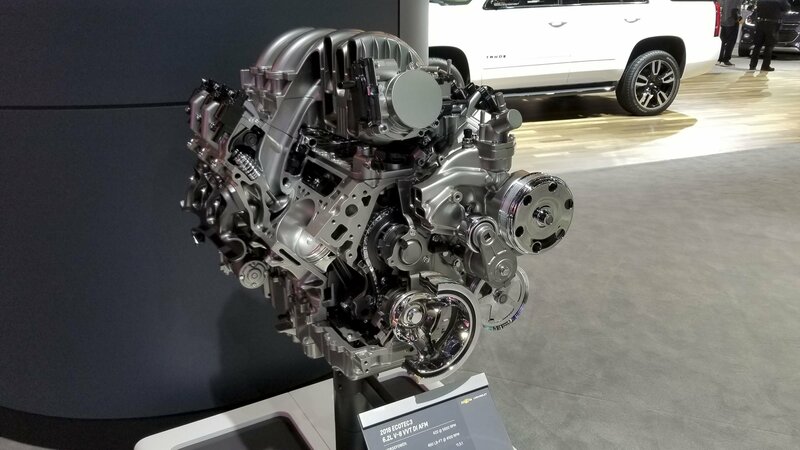 After months of speculation, Chevrolet has confirmed the introduction of an all-new Duramax 3.0L inline-six turbo-diesel engine. The automaker remained coy on the output numbers of the engine, but it’s expected to be competitive against Ford’s new 3.0-liter Power Stroke V-6 and Ram’s 3.0-liter EcoDiesel engines. GM executive vice president Mark Reuss alluded to this in the press conference introducing the new Silverado. “I’m not going to go into the numbers today, but some of our competition have given numbers on their diesels, and let’s just say I’m confident that we’ll have the best performing diesel in this segment,” he said. It’s the same story with the two bigger V-8 engine options. Updated power numbers remain vague, but we do know that the 5.2-liter V-8 on the current model pumps out 355 horsepower and 383 pound-feet of torque. Meanwhile, the 6.2-liter V-8 unit produces 420 horsepower and 460 pound-feet of torque. With all the changes made to the two units, including the adoption of the “industry-first” Dynamic Fuel Management system, it’s expected that both mills will be able to unlock instant power at the driver’s disposal, to go along with improved fuel efficiency. 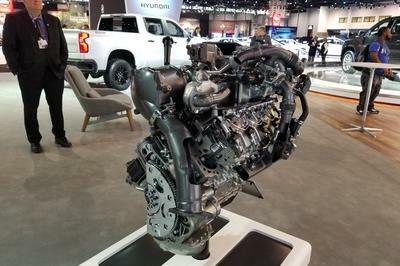 The new 3.0-liter inline-six turbo-diesel and the updated 6.2-liter V-8 are getting a new Hydra-Matic 10-speed transmission and start/stop technology. No mention was made on the transmission for the 5.3-liter unit, so the expectation is that it’ll retain either of its two current transmissions: a Hydra-Matic six-speed automatic and a Hydra-Matic eight-speed automatic.